Solid state drive prices continue to remain at obscene levels. Samsung has put out two new 2TB solid state drives targeted at consumers that cost more than an average PC. An average desktop PC (excluding gaming and iMacs) costs $400-$700 in the US depending on the specs. 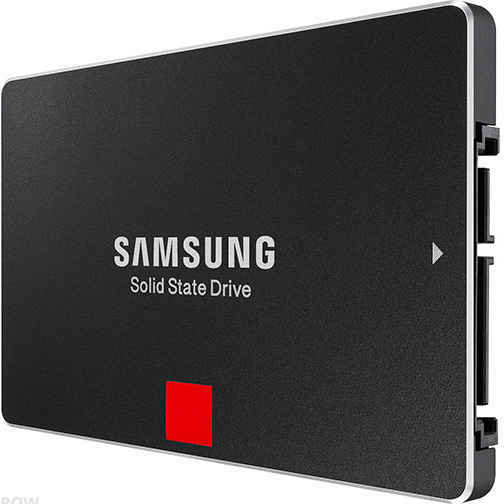 Samsung’s new 2TB 850 PRO and 850 EVO solid state drives cost $1,000 and $800 respectively. Based on Samsung’s 3D Vertical NAND technology, these are 2.5-inch drives meant for laptops. But the new drives can also be used in desktop PCs with adapters available for a buck or two on eBay. If you’re wondering about the difference between the two drives, the 2TB 850 PRO comes with a 10-year warranty and is rated for 300 terabytes written. The cheaper 2TB 850 EVO has a five year warranty and is rated for 150 terabytes written. Samsung plans to expand its high capacity 3D V-NAND SSD lineups to include mSATA and M.2 form factors for gaming, laptop and high performance SSD markets. The biggest plus of a solid state drive is that it’s faster compared to a regular disk drive.